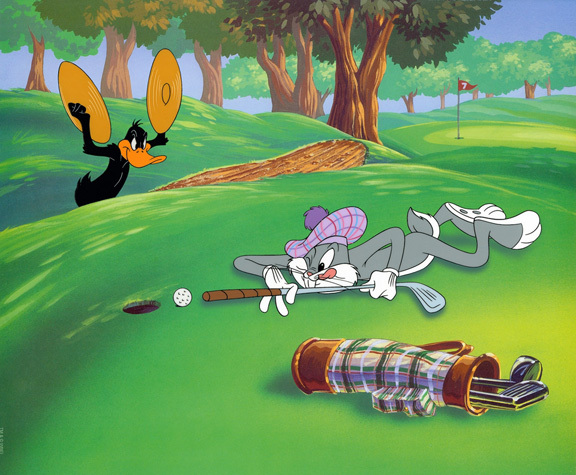 "Bogey the Bunny" is inspired by "Par for the Course", a hand-painted limited edition cel produced in 1994 by Warner Bros. The original art was created by infamous Warner Bros. director Friz Freleng. The background of this piece was originally rendered by veteran background painter, Hector Martinez.